You are passionate about science, and think it is your duty to share it with the society? You love to entertain your family and friends with the latest scientific discovery or fun science facts? You like to challenge yourself and test your public speaking skills? Amaze audience and jury with an original 3-minute talk on a scientific topic of your choice. Be scientifically accurate, but understandable and fun! No slide allowed but you can bring on stage props or your best costume! Get inspiration by 2018 winner of Swiss FameLab, Dmitry Kopelyanskiy, 2018 FameLab International winner Siti from Malasia, and more! The competition is open to everyone studying or working in STEM subjects (life sciences, technology, engineering, geosciences, mathematics, physics, chemistry and social sciences). · International competition at Cheltenham Science Festival, on June 4-9. Register now for FameLab Switzerland 2019 here! Please check that you are free on each planned date, and your eligibility on the detailed rules before registration. For more information on FameLab 2019 in Switzerland check the British Council dedicated page and BSNL.ch. Any questions? Contact the BSNL team for FameLab Switzerland at info@bsnl.ch. 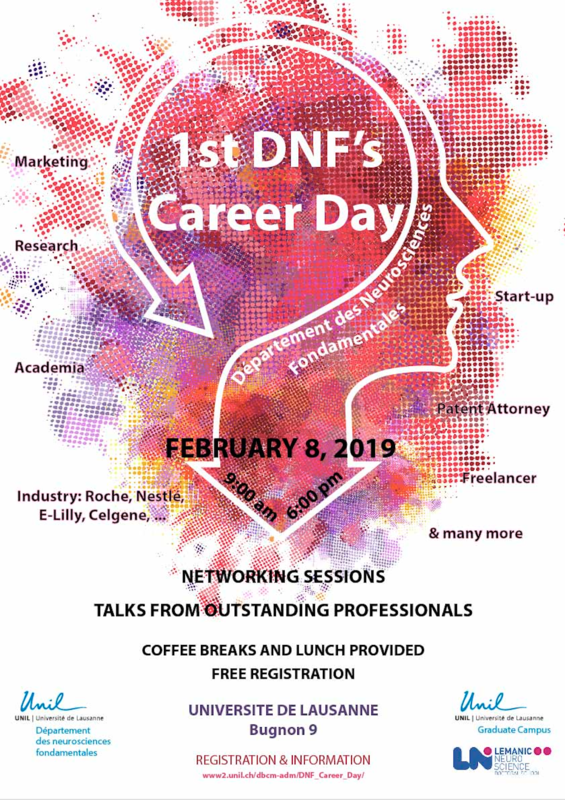 The 1st edition of the DNF Career Day will take place on February the 8th of 2019, 08:45-18:00, at the Department of Fundamental Neurosciences (Rue du Bugnon 9, 1001, Lausanne) from the University of Lausanne. During this day, you will have the chance to listen and meet outstanding professionals from various institutions & companies. They will provide you information about the different possibilities offered to PhD and/or post-docs from neuroscience and general biology fields. It is a great occasion to gather further information on the skills that might be essential to reach these positions, and to be successful in it as well. In addition, you will have the time to discuss, share and ask questions to professionals and alumni from the field during several networking sessions. To see the whole program and register click here!! 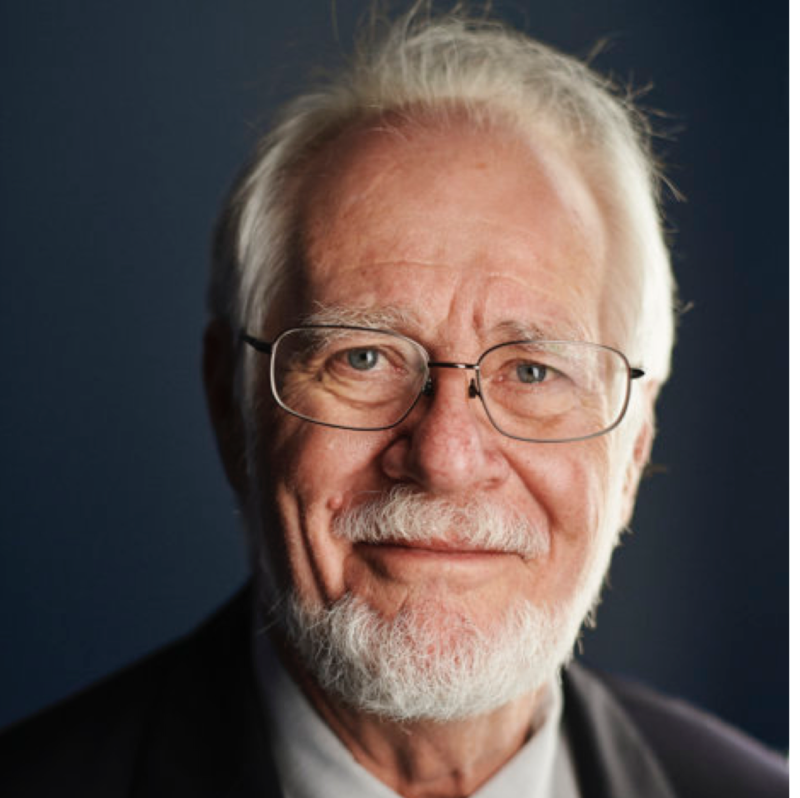 In the recent episode of Career Conversations and as a little Christmas treat, Stefanie is talking with Jacques Dubochet, Chemistry Nobel Prize Winner 2017. In the interview, they talk about how Jacques has approached his career, the advice that he gives to young scientists and what values are important in science as well as in life. Jacques is a great, reflective and insightful person – and obviously a great scientist. This episode is really worth listening to. or on iTunes, Stitcher or your podcast player of choice. In the last episode of Career Conversations, Stefanie is talking to Dr. Samuel Lagier. 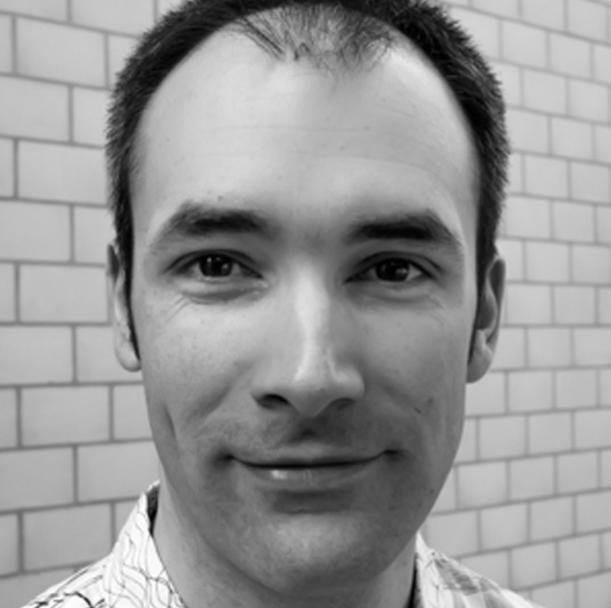 Sam has done a PhD and two PostDocs in neuroscience while his passion really was improv theatre. Dr Pauline Fritsch is a blog writer who got her PhD in Neurobiology at the University of Fribourg in 2017. Her aim is “to discuss about what helped her during her PhD studies in the hope that it can help other students and maybe inspire universities in what to do to help their students”. The author is writing about the PhD students’ #mental health and about #soft skills (transferable skills) as according to her, these two subjects are partly overlapping. To know more about the author of this blog, have a look at the About page. 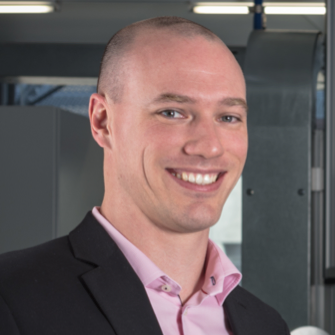 In one of the newest episodes of Career Conversations, Stefanie is talking to Dr. Nicolas Durand, founder and CEO of Abionic, on how to build a biotech start-up. In the episode we will hear about how to sense early when things go wrong, so it is possible to change directions, the value of mentors, how to finance a start-up and how to sustain a healthy work-life balance. Nicolas in one of the most reflective people that were on the show so far and we can learn a lot from home. If you are interested you can find the episode under this link https://careerconversations.podbean.com/mf/play/mhib4b/Dr_Nicolas_Durand.mp3 or on iTunes, Stitcher or your podcast player of choice under the name “Career Conversations”.